I fully understand how you feel about GMO. 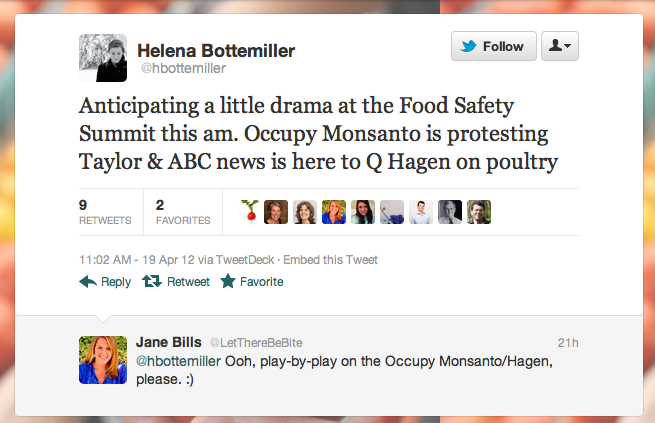 A great job you are doing, yet “occupy monsanto” is far from enough. 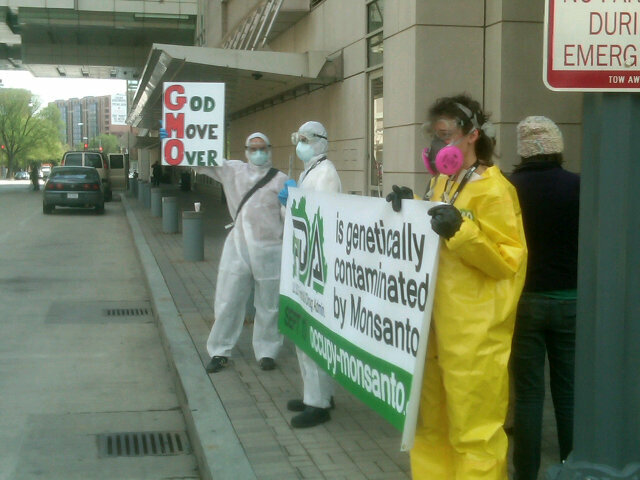 Removal of officials favoring GMO is another key action. If you Good Guys can destroy GMO in its origin, it will save the world from genocide second just to Hitler! In case you cannot open the link, I hereby attach the video. As you may know, China is now one of the biggest growers of GMOs and this has caused many human and natural disasters. We have been fighting a bitter hard war against the GMO cheats and dirty politicians for the past 3 years. Though we have made a little progress, your victory will be a big help for us as the GMO cheats here always cite GMO examples in USA as their legal reasons to promote and grow GMOs nationwide. Clearly GMO cheats are enmimies of the whole mankind. In order to fight, defeat and bury this big devil, Good Guys of the wolrd really need to communicate and unit and work together. So I’d like to propose some new and different ideas to name GMOs. Instead of just say the same term as the GMO cheats, we can say these to make a difference to draw people’s attention and to make it easily understood, remembered and then prompt them to take the necessary action. 1. Definition. Instead of following the GMO cheats’s so called scientific definition, we may say to people, based on technical facts: GMO is a technical process to transfer the toxic genes from bacteria into seeds or plants. As the gens have life, they grow with the seeds or plants so the whole plants become toxic and can kill pests or diseases. 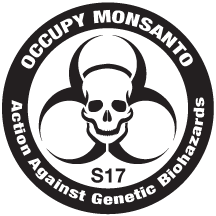 Or simply, GMO is a way to change outer use of pesticides or herbicides to the inner use of living bio-pesticides or bio-herbides. As GMO plants and seeds can kill pests, rats, animals, etc., they are certainly tocix and harmful to people. 2. Name of GMO specialists and companies. Cheats, criminals, terrorists, etc. are bettrer names for them. 3. Name of GMOs. Toxic GMOs, poisonous GMOs, genocidal GMOs, killer GMOs, terrorist GMOs, etc. should be better names to make a striking difference. Above are just some of my own thoughts for your reference. My major is liturature and language and not a specilist in science. It would be a big help to share your ideas. There is nothing safe about toxic pesticides & unlabeled genetically engineered foods. 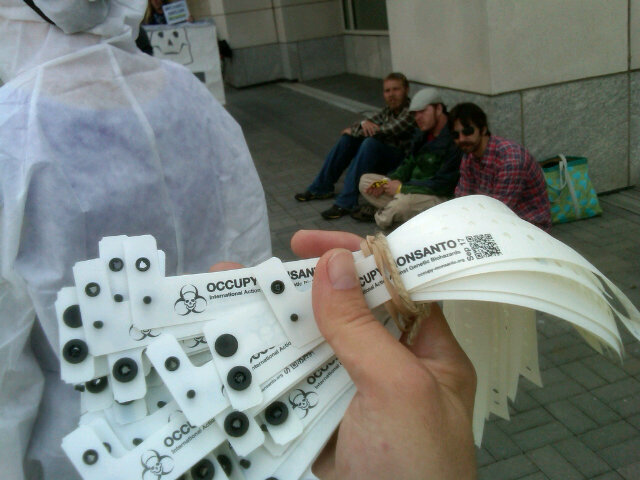 On April 19, 2012 the Occupy Monsanto Genetic Crimes Unit will protest outside of the Food Safety Summit at the Washington Convention Center. 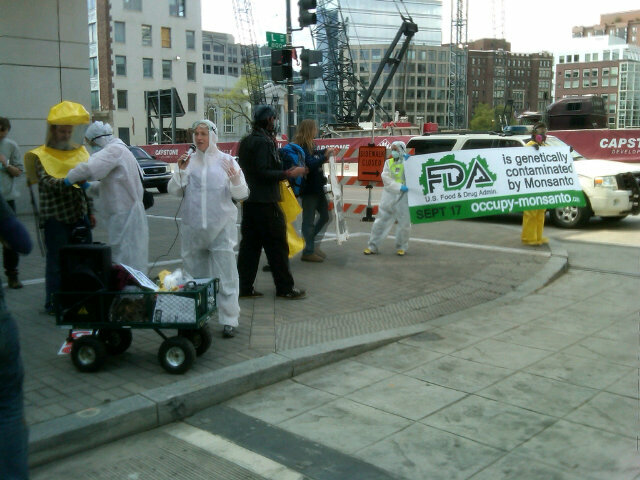 Food safety activists will meet at 11:00am at the Mount Vernon Square / 7th Street / Convention Center Metro station (Yellow & Green Line at the corner of M Street & 7th Street, NW) and will call on FDA Commissioner Michael Taylor to resign. 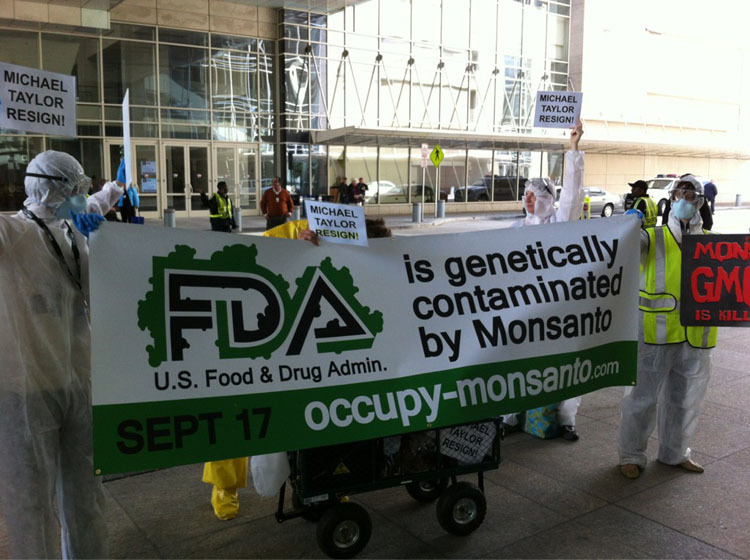 At 11:30am, former Monsanto executive, “Food Safety Czar” Michael Taylor will be answering questions at the Food Safety Summit “Town Hall” forum. The GCU is calling for Taylor’s immediate resignation because a former Monsanto lobbyist, who profits from the increased use of pesticides & genetically engineered foods, should not be determining food safety & labeling standards in America. The Town Hall, as the forum is being called, is NOT open to the general public. 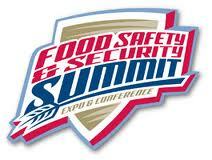 Food Safety Summit attendees have paid at least $350 to attend. 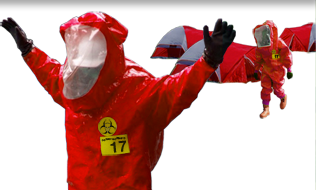 Occupy Monsanto’s 99%ers will take to the sidewalks dressed in Genetic Crimes Unit bio-hazmat uniforms to highlight the grave implications of chemical and genetic contamination in America’s food supply. For over 30 years, Michael Taylor has been a part of the toxic revolving door between the public sector & the private sector. Starting 1976, Taylor became a staff attorney for the Food and Drug Administration (FDA), where he was executive assistant to the Commissioner. In 1981, he went into private practice at King & Spalding, a law firm representing chemical company Monsanto, where he established and led the firm’s “food and drug law” practice. A decade later, on July 17, 1991, Taylor left King & Spalding, returning to the FDA to fill the newly created post of Deputy Commissioner for Policy. While at the FDA, he also oversaw the policy regarding Monsanto’s genetically engineered bovine growth hormone (rbGH/rbST), which is injected into cows to increase milk production. Taylor asserted that milk from injected cows did not require any special labeling and wrote the white paper suggesting that if companies have the audacity to label their products as not using rbGH, they should also include a disclaimer stating that, according to the FDA, there is no difference between milk from treated and untreated cows. Between 1994 and 1996 he moved to the United States Department of Agriculture (USDA), where he was Administrator of the Food Safety & Inspection Service and was influential in the approval of unlabeled genetically modified foods entering the American food supply. After briefly returning to King & Spalding, he then returned to Monsanto to become Vice President for Public Policy from 1998 to 2001. 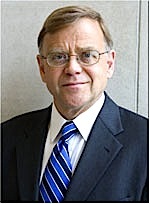 Taylor has been a professor at the University of Maryland’s School of Medicine and in 2007 he became a Research Professor of Health Policy at the George Washington University School of Public Health and Health Services. On July 7, 2009, Taylor once again returned to government as “senior advisor” to the FDA Commissioner and on January 13, 2010, he was appointed to another newly created post at the FDA, this time as Deputy Commissioner for Foods, which makes him the second highest-ranking official at the FDA. Under his current tenure at the FDA, he’s been involved in the approval of genetically engineered alfalfa and is currently in support of genetically engineered salmon. Since August of last year, two on-line petitions, which call for President Obama to rescind his appointment of Taylor to the FDA, have gathered over 500,000 signatures.